Too often, debates about transportation issues in Toronto center around which subway line should be built next or how much time it takes to drive from one part of the city to the other. But often overlooked is the role race and class play in determining how we move around this. 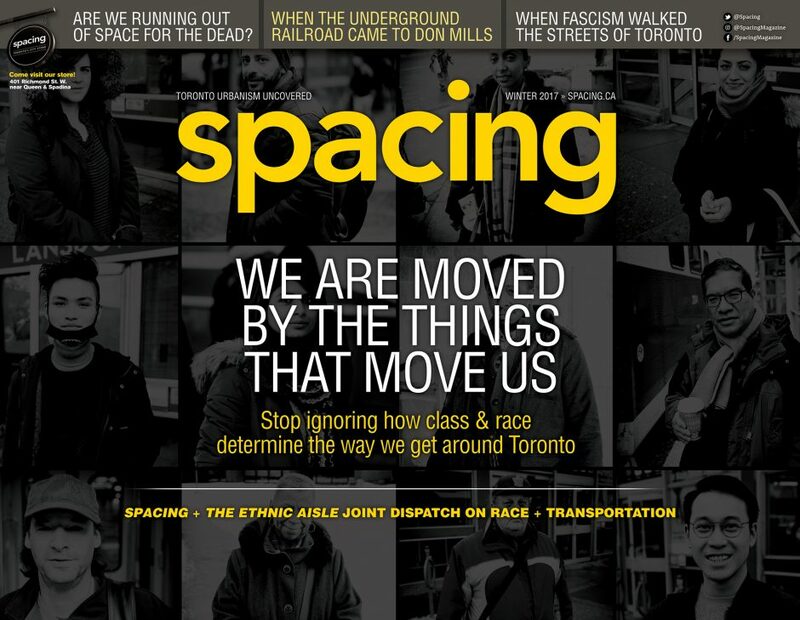 Our cover section is a joint effort with our friends at the web-magazine The Ethnic Aisle to bring together a compelling and unique perspective on race and transportation in Toronto. This issue also offers up a variety of features that will pique the interest of local urbanists: a photo essay documenting the historical changes of on-street litter bins; how the Don Mills neighbourhood became a landing spot for former slaves using the Underground Railroad; detailing all of the public art that has been unveiled on Toronto streets since 1967; how local Fascists in the 1930s tried to promote the ideas of Mussolini; and a look at the changing nature of suburban strip malls.